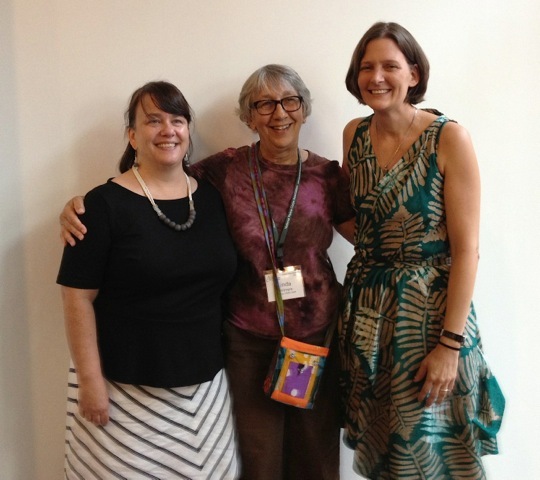 Linda Whitmyre, RPCVSF's Fair Trade Market Chair in the center, nominated the Global Mamas founders Renae Adam, right, and Kristin Johnson, left, for the Sargent Shriver award, and they Won! Fashion Alert! Renae, the tallest, is sporting a Global Mamas dress. The Sargent Shriver Award for Distinguished Humanitarian Service is awarded by the National Peace Corps Association to Returned Peace Corps Volunteers who continue to make a sustained and distinguished contribution to humanitarian causes at home or abroad, or are innovative social entrepreneurs whose actions will bring about significant long-term change. Interested in RPCVSF's Fair Trade Market? Learn to Organize and Operate a Fair Trade Market by asking Fair Trade Market Chair Linda Whitmyre, mailto: mailto:lindawhitmyre@gmail.com , for a copy of the Fair Trade Market Replication Guidelines.